For years, cloud holdouts could point to issues such as security, privacy, and performance concerns as reasons for not adopting a cloud strategy. However, in 2018 these risks have almost entirely disappeared. In fact, most organizations are now working with a multi-cloud setup. It's not too late to get your organization's workloads or infrastructure into the cloud, but you'll need to act quickly to avoid being beaten out by competition. 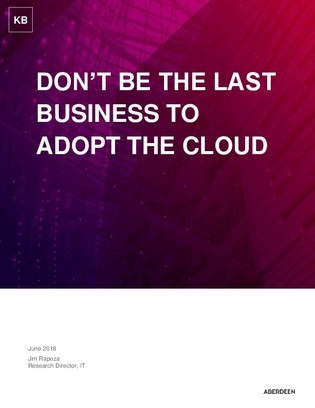 Open this research report to see why more organizations than ever are trusting cloud and seeing the benefits of it.